It’s time to play smarter and feel sharper with Peak, the app that was chosen as Best App 2014 in over 24 countries around the world. Join millions of brain trainers worldwide and see what the fuss is all about. 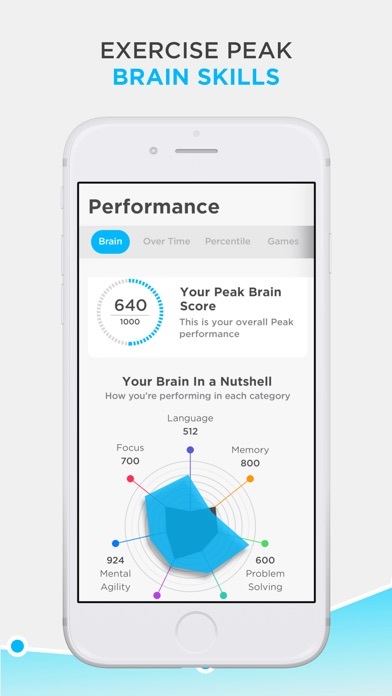 Reach Peak performance with over 40 unique games, each one developed by neuroscientists and game experts to challenge your cognitive skills and push you further. 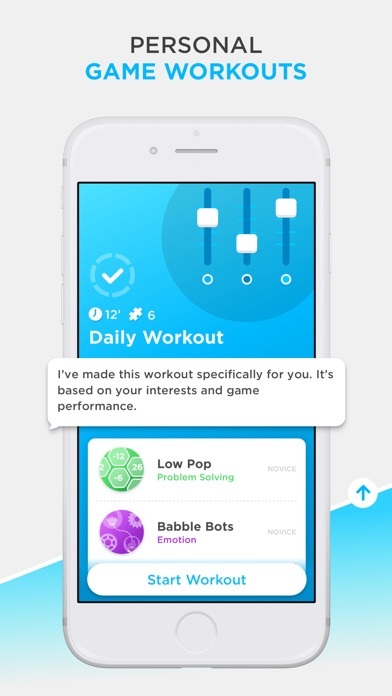 Use Coach, the personal trainer for your brain, to find the right workout for you at the right time. Choose from Coach’s best recommendations to push your skills to the max. Or take contextual workouts like Coffee Break if you’re short on time. Coach will help you track your progress using in-depth insights and keep you going when you need it most. 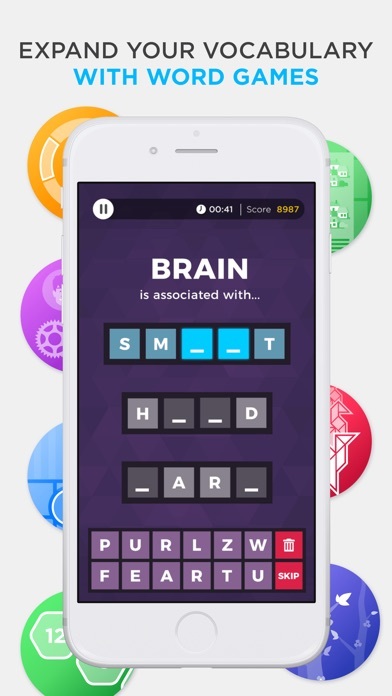 Play for free or upgrade to Pro and get the best brain training experience available. 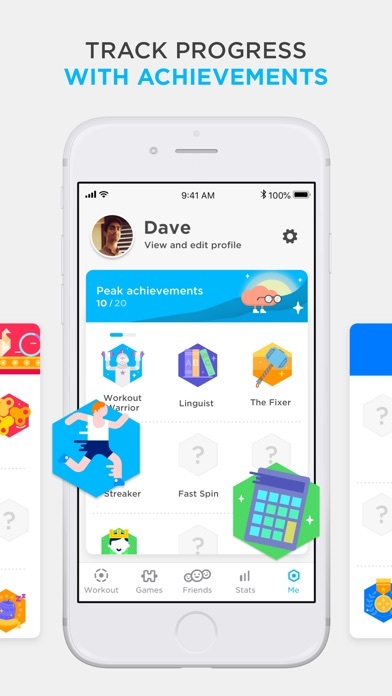 PEAK FEATURES: - Free games that challenge your Memory, Attention, Problem Solving, Mental Agility, Language, Coordination, Creativity and Emotion Control. 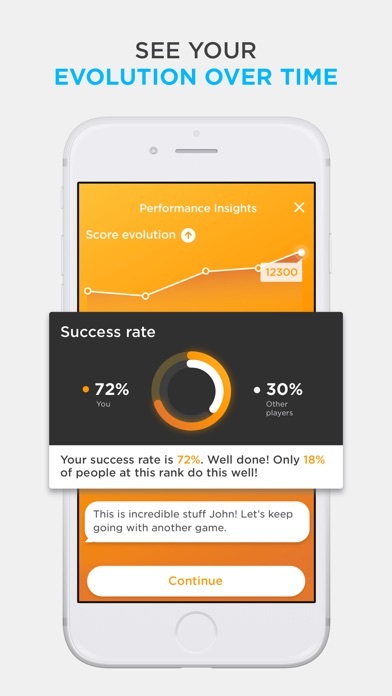 - Learn which categories you excel in, and compete with friends by comparing your brainmap and game performance. 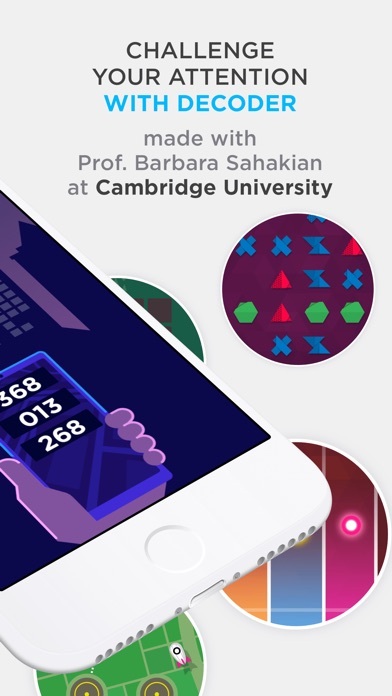 - Get access to Peak Advanced Training Plans: intensive programs that train a specific skill, including the new Wizard memory game created with Professor Barbara Sahakian and Tom Piercy in the Department of Psychiatry at the University of Cambridge. - Unwind with Peak’s relaxing activities to bring calm and balance to your experience. 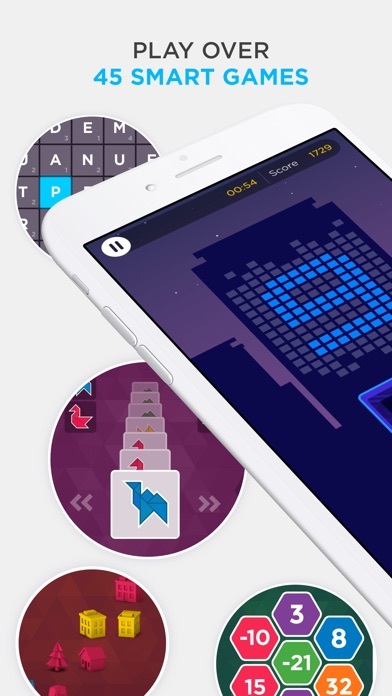 - Available for Apple Watch with 3 games that assess your memory and attention. DEVELOPED BY NEUROSCIENCE EXPERTS Peak games are designed in collaboration with experts in neuroscience, cognitive science, and education (Peak's scientific advisory board includes Professor Barbara Sahakian FMedSci, DSc, Professor of Clinical Neuropsychology at the University of Cambridge). IN THE NEWS Wall Street Journal, Financial Times, The Guardian, Techcrunch, Venturebeat, Wired Apple: App Store Best of 2014, Best App of September and Editor's Choice Have questions, feedback, or just want to say hi? Contact us at hello@peak.net or visit peak.net. PEAK PRO Peak is free to use, but you can get even more from your training by upgrading to a Pro Training Account. Peak Pro offers personalized workouts, unlimited access to all games, and in-depth insights so you can track and review your performance. Follow us - twitter.com/peaklabs Like us - facebook.com/peaklabs Visit us - peak.net Say hi -hello@peak.net PEAK PRO PRICING & TERMS For Peak Pro upgrades we offer the following subscriptions: 1 month from $4.99* [NB/ Changes per local] 12 months from $34.99* * Prices displayed are USD$, actual charges might be converted to local currency depending on your country of residence. Payment will be charged to your iTunes account at confirmation of purchase. Subscription automatically renews unless auto-renew is turned off at least 24 hours before the end of the current period. Account will be charged for renewal within 24 hours of the end of the current period, and the cost of the renewal will be provided. This is a great app to really expand your brain power, and they don’t spam you with crazy ads. The free version is awesome! Definitely going to buy the pro version. It is clear that “performance” depends on a) understanding the game (some are more straight forward than others) & b) familiarity with the game (the more you play it the better you get). Speed shouldn’t be the end all in assessing brain function. Practice will only help you do better on these games, nothing in real life. It tricks you into thinking you’re improving your brain when you’re only getting better at their games. Case in point: if you do word searches regularly elsewhere you’ll do well on it here. Comparison to “professions” is ridiculous for reasons too complicated to explain here. But I’ll say this: you will notice they vary little and your “performance” won’t match any of them (“you need to use the app more”) even if you are successful in one of those professions. But if you want a daily dose of short puzzles it’s good. Don’t bother with paying for “professional” version unless you have OCD and want to do the games over and over in one sitting. I’ve subscribed to pro for the year and for the month and the app charged me twice and still doesn’t work. I contacted support and they say they don’t see my account - still I get charged. Not sure where the problem is - but I still paid for a whole year (6 months have gone by) and the problem hasn’t been fixed. It’s unfortunate. Don’t recommend for this reason. Content seems good. So glad this app was developed, it helped me so much! Will. Peak. Helps. Me. To. Improve. My. Brain. You. Make. It. Better. For. Me So. I. Can. Understand. Things. In my. Head. You know. :-). Nothing like the advertisements and impossible to do anything unless you upgrade to pro. Nice, but needs some tweaks. I’m enjoying this app and like the variety of games. However, there are a few issues: 1. The “Train your skills” section title on the home screen is overlapped slightly by the workout tiles that are supposed to be below it. 2. Before starting a workout you can swap one of the games for a different one in that category. However, once you do this you can’t undo it or swap a different one. I’m ok with allowing only one swap, but then at least allow playing with the swaps to see which arrangement of games is more preferable. Just undo the previous swap when trying to do a different one. I had a stroke 4 1/2 years ago and this app is waking up parts of my brain with which I had lost function. I started with Flow Free, and this one is a step up for sure.